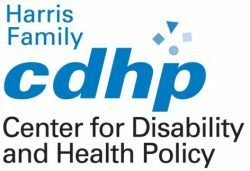 Western University established the Center for Disability and Health Policy (CDHP) in 1998 in response to the concerns of the disabled community, which is emerging as one of the nation’s fastest growing and least understood minority groups. Molina Healthcare, a FORTUNE 500, multi-state health care organization, arranges for the delivery of health care services and offers health information management solutions. A.T. KRATTER & Company – Providing the best technology available for people with the full range of visual impairment. A. T. KRATTER & Company is dedicated to providing the finest technology and support for people with reading and visual disabilities. Now serving the visually impaired citizens of Southern California for more than twenty years, we carry the largest selection of electronic video magnifiers in the area. We also provide adaptive computer technology to allow visually impaired individuals to use email, access the Internet, read printed material via a computer generated voice, and perform most computer tasks. For more information visit our Website. HBLA, Certified Public Accountants, Inc.
HBLA was founded over 30 years ago with a clear vision and passion—to give small-to-mid-sized clients the benefits of our large-firm accounting experience. We build long-term relationships and offer a level of service that only a local firm can provide. 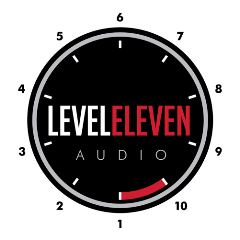 Level11audio is owned by Scott Clement. Scott is a freelance Audio Engineer who works with various production companies and bands touring around the world providing FOH and MON Engineer Services. He has experience mixing on both analog and digital consoles such as Allen & Heath iLive, GLD, QU series, Soundcraft, Midas, Yamaha M7, LS9, Digico SD8, SD9 and SSL L500. His current client list includes: Houses of Worship, The Devious Means (Indie Rock), Peter Brandon (Country), L.A.vation – The World’s Greatest Tribute to U2, and many others. LS&S – Learning, sight and sound, made easier. At SoCal Office Technologies, we partner with our customers to provide a long-term strategy for document technology, services and software for graphic communication and office printing environments of any size.